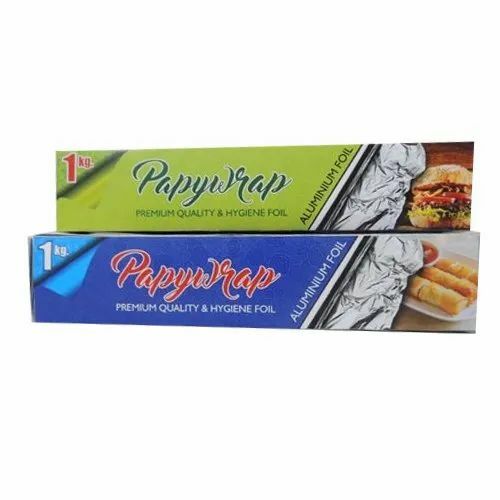 Due to our immense capability in this work domain, we have brought forth a huge variety of 1 Kg Papyrus Aluminium Foil. Established in the year 2008 “Matrix Tissues” is a leading Manufacturer, Wholesaler and Trader of Tissue Paper, Aluminium Foil, Paper Napkin, Toilet Roll and much more. We have achieved expertise in catering to the requirements of our clients exactly as per their specifications. We emphasize on stringent quality standards in order to ensure that the products provided to our clients is always optimum to its level. Over the years of our operation, we have registered consistent growth rate under the insightful guidance of our mentor Mr. Praveen Bhagwat .